This weeks Disney Princess is very close to my heart. I am a direct descendent of Pocahontas. My sister is the family tree expert of my family and has verified our direct lineage from Pocahontas. The disney version is sweet but the real story happened this way. Pocahontas was the daughter of chief Powhatan and her real name was Matoaka. 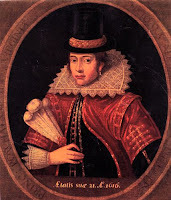 Pocahontas was her childood nickname. 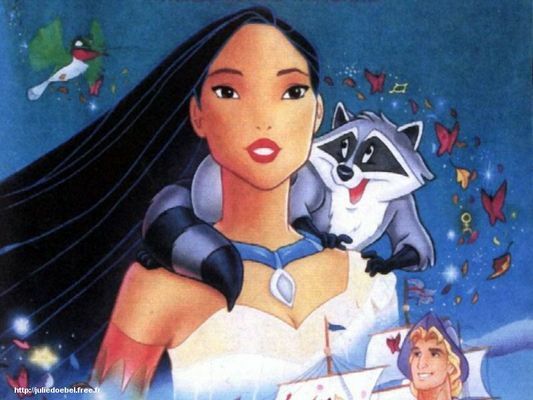 Pocahontas was only 11 when she first met John Smith who was 28. John Smith was captured by the Indians when he got separated from his expedition. He was not on his way to meet Pocahontas at the time. 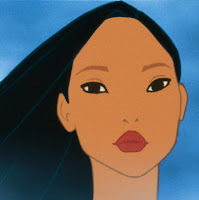 He did not meet Pocahontas until he was to be executed and she rescued him. John Smith was adopted into the tribe and he and Pocahontas became friends. She visited often and helped the colonists when food was short. John Smith was injured in an accident and returned to England but Pocahontas was told he had died. She stopped visiting after that. Pocahontas was captured and held hostage. While being held hostage at Jamestown in 1613, she met colonist John Rolfe, a successful tobacco planter and sincere Christian. She converted to Christianity and married him in April 1614. She changed her name to Rebecca. The Rolfes had one child, Thomas Rolfe, whom they brought to England with them. When Pocahontas died on the way back, Thomas was also sick, and was left behind to be raised by relatives. John Rolfe would never see him again. So here is the pattern for this week - hope you like it. You can find the pattern on the Disney Princesses page or at fandominstitches.com. I would like the Shang pattern. Girls can become princesses. Boys can become princes. If you need any more pattern testers, I am willing to help. Thanks for all you do for the paper piecing quilt block community on the web. Hi Anonymous, Please email me your address and I will send you the shang pattern for testing.